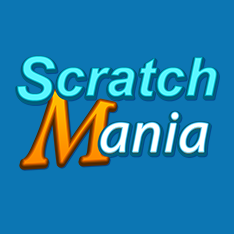 Punters who enjoy the quick wins that can be claimed on scratchcards will want to visit Scratchmania Casino. Despite the name, there's also a good selection of slots to play, although no table or card games. Bonuses and promotions, a range of deposit options and the backing of a Curacao e-gaming license are further attractions at this site. 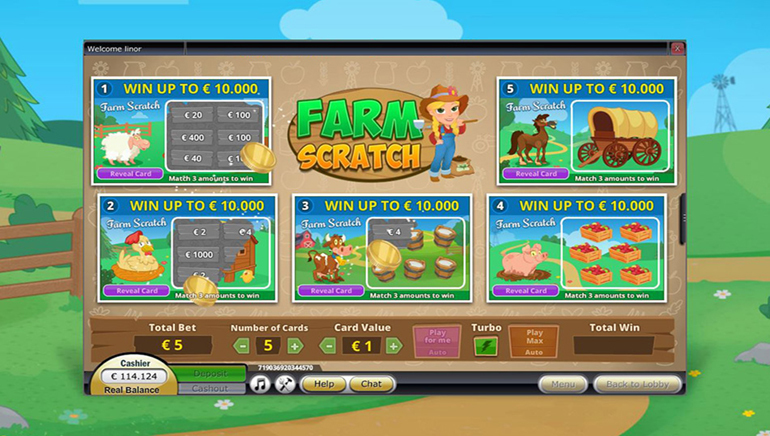 Running since 2008, Scratchmania Casino comes in multiple languages and players can use several currencies on the games. It's open to residents of many countries, although not the USA or UK. 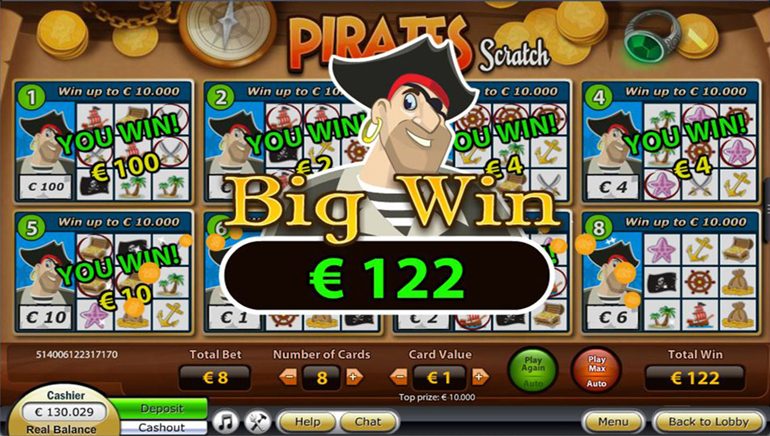 Powered by Netoplay software, the games can be enjoyed on desktop PC's, smartphones and tablet computers. There's a cartoon style to the site which makes it look fun and inviting, but some serious thought has been given to the layout, with all games easily accessed from the menu buttons. 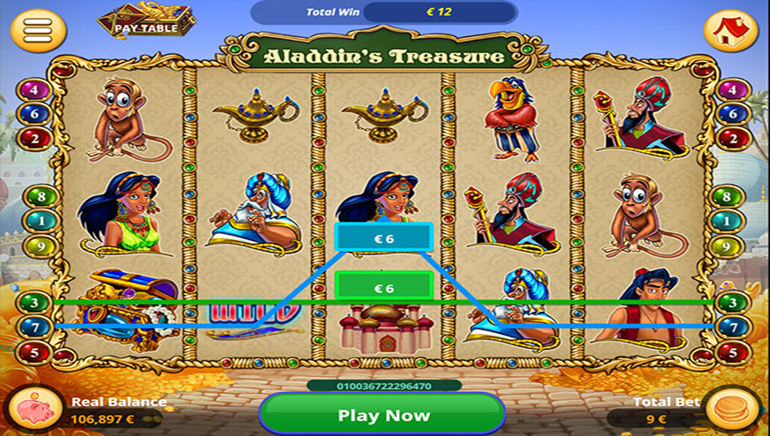 Each card or slot game has a distinctive theme, such as the underwater adventures of Octopus, Scottish style of Wild Jane, or the Chinese celebrations of Year of the Dragon. 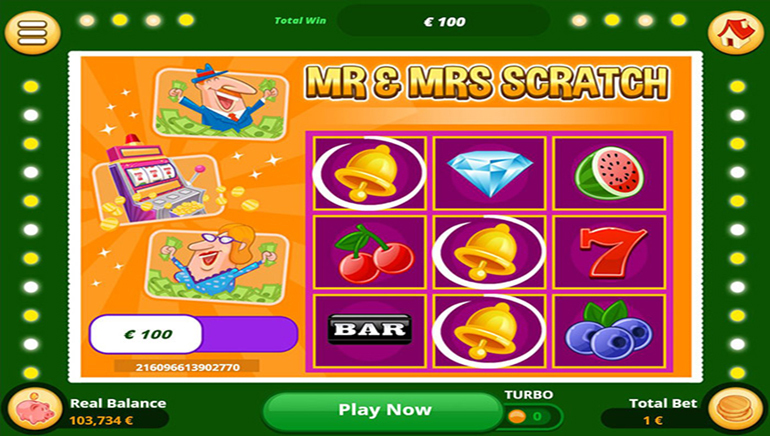 Every third scratchcard is a winner, while the slots all have bonus rounds such as free spins or side games to help players to collect extra rewards. New customers will be offered special welcome bonuses, while regular players will benefit from membership of the Scratchmania Casino Loyalty Programme. This grants points with each wager and once enough have been earned, players can cash them in for free bonus money that can be used to play more games. 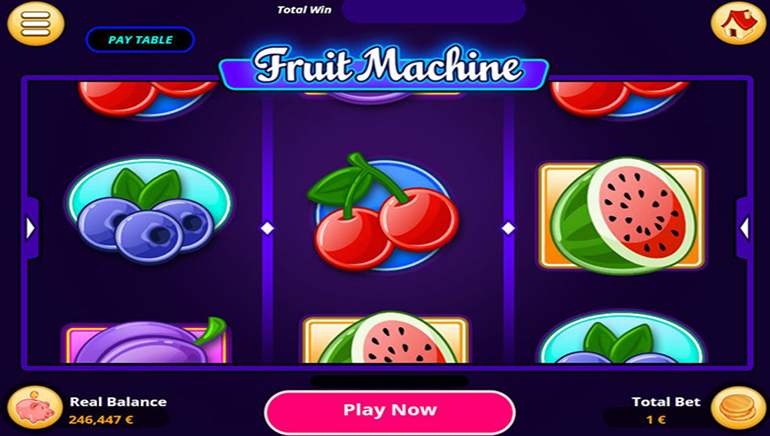 Players can enter tournaments and compete with other for prizes, while there's also bonuses for depositing with certain cards or e-wallets and free games at certain times. The offers get amended now and then, but whatever deals are available, players should always check any terms and conditions attached to them before opting in. Visa, MasterCard, Maestro, paysafecard, NETELLER, Skrill, Diners Club and Trustpay are among the most popular deposit methods available, while the Zimpler system allows customers to pay in directly via their mobile devices. All transactions are processed over secure systems and Euros, GBP, SEK, NOK, CAD and USD are all accepted. Winnings can be taken out via bank wires, credit cards or e-wallets.Withdrawal requests are held pending for 2 days, during which players can have the funds returned to their accounts if they wish. Live chat, phone, email and a ticket system can all be used to contact the support team at Scratchmania Casino and they can be contacted 24/7.